There is nothing that gets my kids room clean faster than offering them Zucchini Cake. 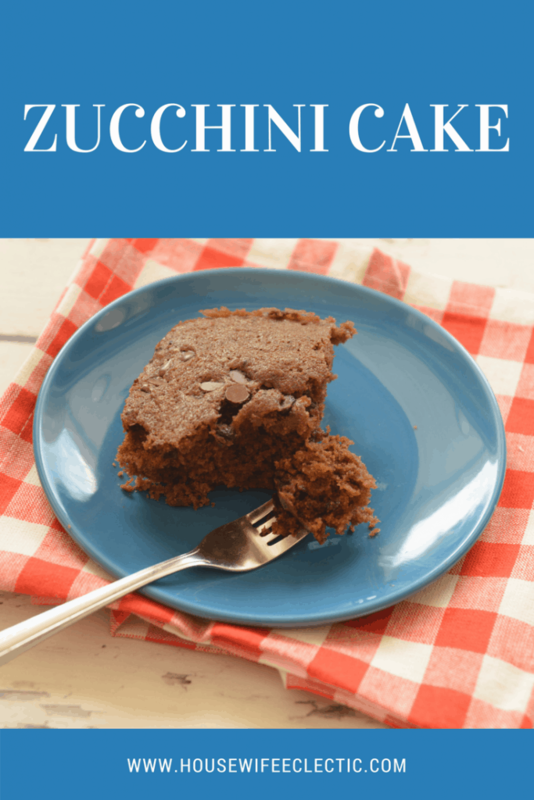 This combination of chocolate and zucchini is the most delicious and moist cake you will ever eat. My kids don’t even know there is zucchini in it! Mix these ingredients together well. Then add the ingredients below. Mix everything until well mixed. 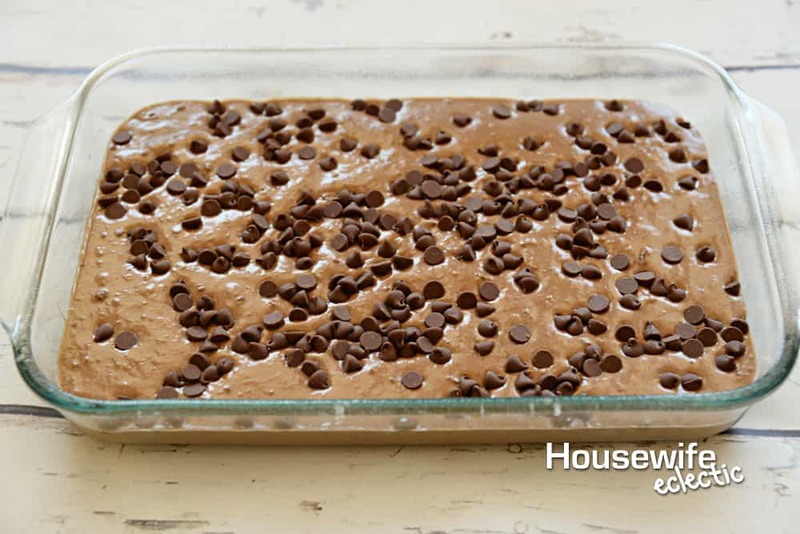 Place cake mix in a greased 9×13 cake pan and top with about half a bag of chocolate chips. Bake at 350 degrees for 30-40 minutes. Serve with a glass of milk! This cake is the best cake ever! I think the only way I could my DH to eat this is if he doesn't see what the ingredients are – lol! 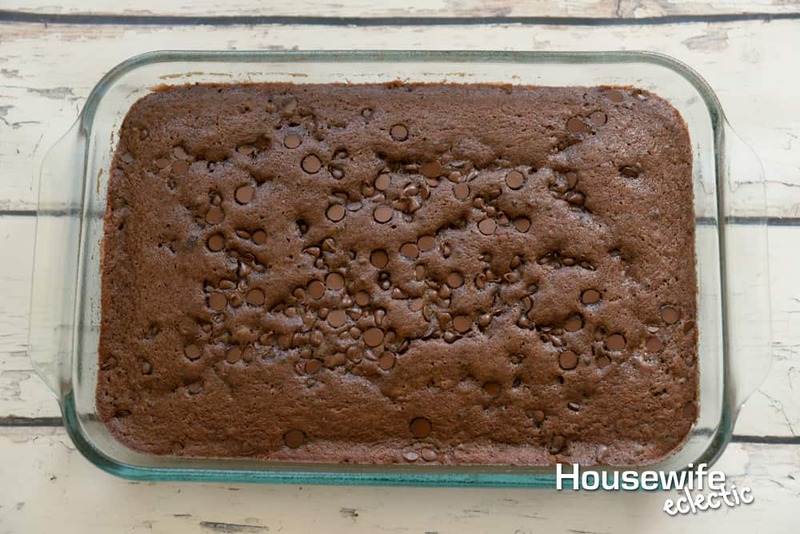 I make these brownies all the time, but I've never used sour milk in my recipe. I'll have to try that.